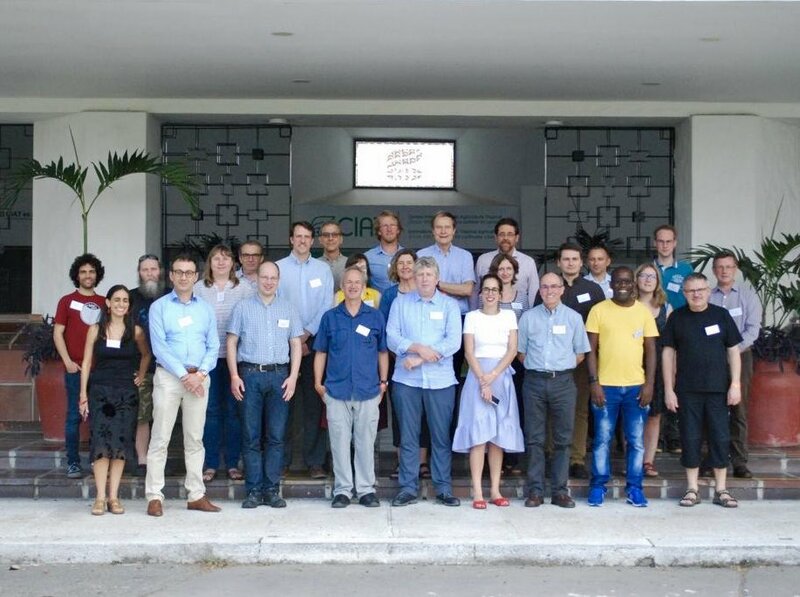 The GRA’s Integrative Research Group (IRG) met in Cali, Colombia, on the 4th and 5th February 2019. This was the group’s third annual meeting, which included 36 participants from 14 GRA member countries. Experts from the International Centre for Tropical Agriculture (CIAT), Coordination of International Research Cooperation on Soil Carbon Sequestration in Agriculture (CIRCASA), Climate Change, Agriculture and Food Security (CCAFS), 4per1000, French Agricultural Research Centre for International Development (CIRAD), International Soil Reference Information Centre (ISRIC), and the EU also attended. 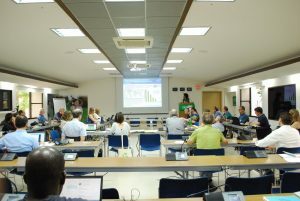 One of the major outcomes of the meeting was a network organisation and restructuring with existing work prioritized now across three networks; The Nationally Determined Contribution (NDC) Support Network, The Soil Carbon Sequestration Network and The Farm to Regional Integration Modelling Network. The group also agreed to the development of a series of webinars to increase science communication amongst scientists and related parties. The meeting was attended by Australia, Brazil, Canada, Denmark, France, Ghana, the Netherlands, New Zealand, Norway, Spain, United Kingdom, United States of America and Uruguay. The purpose of the IRG is to foster collaboration in the science community across Alliance research groups and between Alliance member countries, international partnerships, research organisations and research institutions to ultimately develop international knowledge and capabilities for estimation, monitoring, and projecting greenhouse gas emissions within and across agricultural systems. The GRA’s Integrative Research Group (IRG) had a very fruitful meeting hosted by France in Paris on January 17-18. This was the group’s second annual meeting since being formed as a merger between the Inventories & Monitoring and the Soil Carbon Sequestration Cross-Cutting Groups. The meeting was attended by 34 participants, representing 14 Alliance member countries, and invited experts. The country representatives highlighted some of their important research activities and needs relevant to the IRG. There was optimism about how the emerging projects from the Inventory flagship and Carbon Sequestration flagship will contribute to the on-going work of the Inventories and Carbon Sequestration Networks. 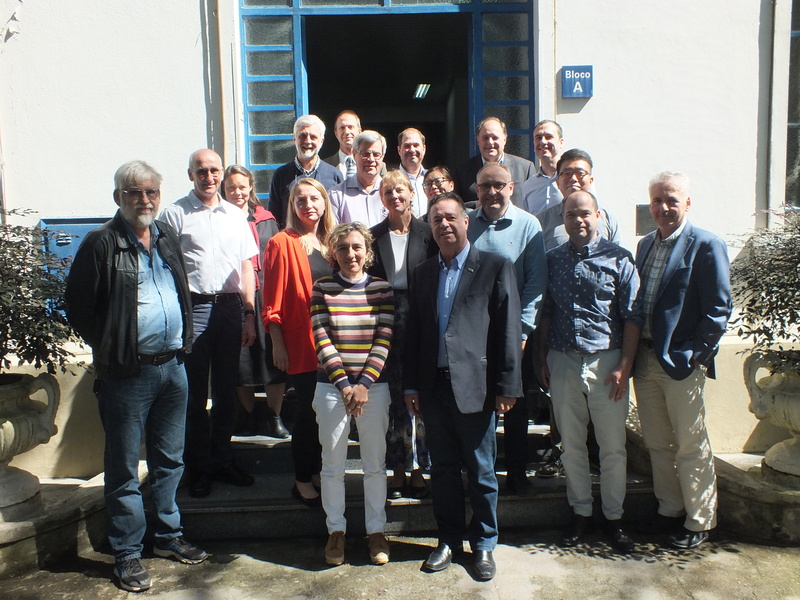 The Group decided that the current focus of the Grassland Network on carbon sequestration would be better included as one of priorities for the new Carbon Sequestration Network. The integration of different greenhouse gas emissions for livestock production systems that involve grassland fits well within the new Farm to Region Modelling Network. Consequently, the Grassland Network will dissolve and GRA members and partners engaged in grasslands need to participate actively in the new Carbon Sequestration and the Farm to Regional Networks to realise the great opportunities for grassland management to reduce greenhouse gas emission intensity. The meeting ended with a stimulating discussion of how the IRG could help fill some important knowledge gaps.